Of all tools in your shed, you probably never think about replacing your buckets until they start to leak. 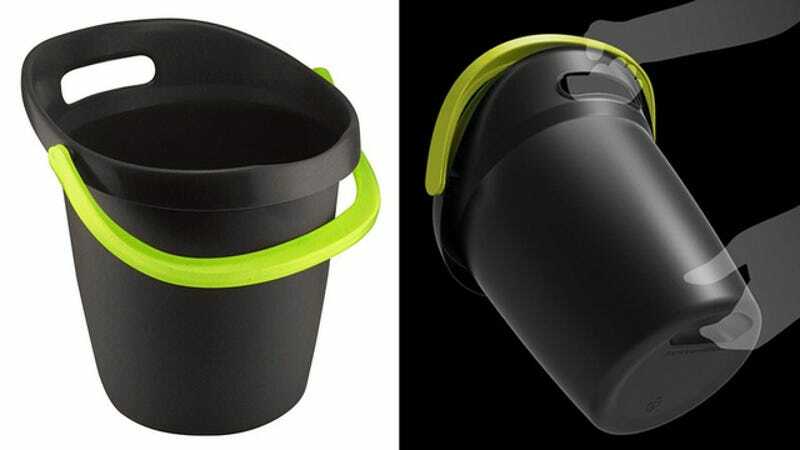 But Home Depot might have you weekend renovators readily upgrading to its new Leaktite Big Gripper bucket—designed by Herbst Produkt's Scot Herbst—that features a bunch of ergonomic innovations that the lowly bucket should have had since day one. A more asymmetrical design and the addition of molded grip handles on the back and bottom of the Big Gripper make the bucket much each easier for one person to lift and empty—even when full of heavy materials. And a redesigned pour spout helps ensure that liquids only pour out where you want them too.